Shortly after 4:30 p.m., Agent Riggs took a call to back up fellow Agent Donovan Jacobs as he made a traffic stop on a pickup truck full of men. Jacobs wanted to stop the truck as the men in it matched the descriptions of those involved in a shooting earlier that day. Agent Jacobs pulled over the truck in the 6500 Block of Brooklyn Avenue. As Agent Riggs pulled his patrol car in behind Jacobs’s car, he told Pena Ruiz to wait. Agent Jacobs was already at the window of the pickup truck talking to the driver, a 23-year-old black man named Sagon Ahmes Penn. Neither officer knew was Penn was an accomplished martial artist. When Agent Jacobs asked Penn for his drivers license, he handed over his entire wallet. Agent Jacobs handed the wallet back and told Penn to remove the license. Instead of complying, Penn began to walk away. As he did, Agent Jacobs reached up and grabbed Penn’s shoulder. Penn’s reaction was immediate and violent and very quickly both men were on the ground fighting. Concerned about the fight escalating with the other men from the truck jumping into it, Agent Riggs pulled out his baton to hold the group back. Despite Penn fighting like a wildcat, Agent Jacobs had managed to climb on top of him. As Agent Jacobs was attempting to control Penn, he managed to reach up and grabbed the officers gun from its holster. Penn quickly shot Agent Jacobs in the neck and, before Agent Riggs had a chance to react, he opened fire on him. The first shot directed at Agent Riggs struck him on the sole of his boot; the second in his thigh and the third was fatal. It severed his abdominal aorta. Penn got up off the ground and walked over to Agent Riggs patrol car and fired two shots inside hitting Pena Ruiz. Several witness at the scene said Penn had gone so far as to say, “you’re a witness” when he shot her. They later retracted the statements. Penn then walked over to the lifeless body of Agent Tom Riggs and removed his weapon from the holster. Penn then got into Agent Donovan Jacobs’ patrol car and ran over the severely injured officer as he sped from the scene. Within an hour Penn, accompanied by his grandfather, walked into police headquarters and surrendered. At the time all of this took place, Penn was on the list to take the police officer examination to join the SDPD. As the city once again tried to come to grips with the senseless violence that now seemed to plague its police department, detectives and prosecutors went about building a case against Penn. Meanwhile, Agent Donovan Jacobs was released from the hospital but he was paralyzed in one arm. His police career was over. Sara Pena Ruiz was luckier; none of her wounds were permanently damaging and she would eventually completely recover. As prosecutors looked over the case they would present to a jury, it appeared to be a slam-dunk. A karate expert disarms a cop making a legal detention, then, not only shoots the cop and his partner, but also a civilian witness. To even the hardest cynic it seemed a guaranteed win. That attitude changed when it became apparent Penn’s attorney, Milton Silverman, planned to present that Penn himself was a victim who only reacted out of self-defense to Agent Jacobs who was an out of control bigot. According to the defense it was Agent Jacobs who was the one responsible for everything that happened. As the trial opened, the DA laid forth the argument if Penn had merely complied with Agent Jacobs, the encounter would have ended with a traffic citation at best. Instead, Penn’s advanced karate skills and a bad temper made him exceptionally dangerous and he was responsible for everything that went wrong. Silverman countered by saying Penn was a law-abiding man who was forced into shooting Agent Jacobs to save his own life. Silverman further argued, after being forced to shoot Agent Jacobs, he had to shoot Agent Riggs to keep from being shot himself. The shooting of Pena Ruiz was justified as Penn thought she was another police officer who, after seeing the other officers shot, was sure to shoot him. As far as the auto theft charge went, he stole the police car to simply get away. There was no intention to keep it. The running over of Agent Jacobs was unintentional. Silverman also argued the case against Penn was being manufactured to shift the blame away from Agent Jacobs and a" police code of silence" was allowing it to happen. Apparently the jury found enough credibility in Silverman’s argument to return deadlocked on some charges and not guilty on others. A second trial would have equally disastrous results. After deliberating for a month, on June 10, 1987, the jury returned a verdict of not guilty of voluntary manslaughter for the death of Agent Riggs. They deadlocked 11-1 in favor of acquittal for involuntary manslaughter. Penn was found not guilty of attempted voluntary manslaughter for the shooting of Agent Jacobs and not guilty of attempted murder and attempted voluntary manslaughter of Pena-Ruiz. The jury either found him not guilty or deadlocked in favor of acquittal on the assault charges. Faced with little options for a third trial, the remaining charges against Penn were dropped and he was freed. Agent Tom Riggs was married to Colleen at the time of the incident. The couple lived in El Cajon and had a small son, Adam. As a result of his permanent injuries, Agent Donovan Jacobs was medically retired from the department and went on to practice law in San Diego. After the trial Sagon Penn lived in San Diego under the name Mecee Parks and was arrested a number of times. Several years after his acquittal, he submitted another application to be an SDPD officer and it was denied. The only thing worse than having another officer killed in the line of duty, would be a case more emotionally devastating than any case before it. The murder of Agent Thomas Riggs would, in many ways, be just that. 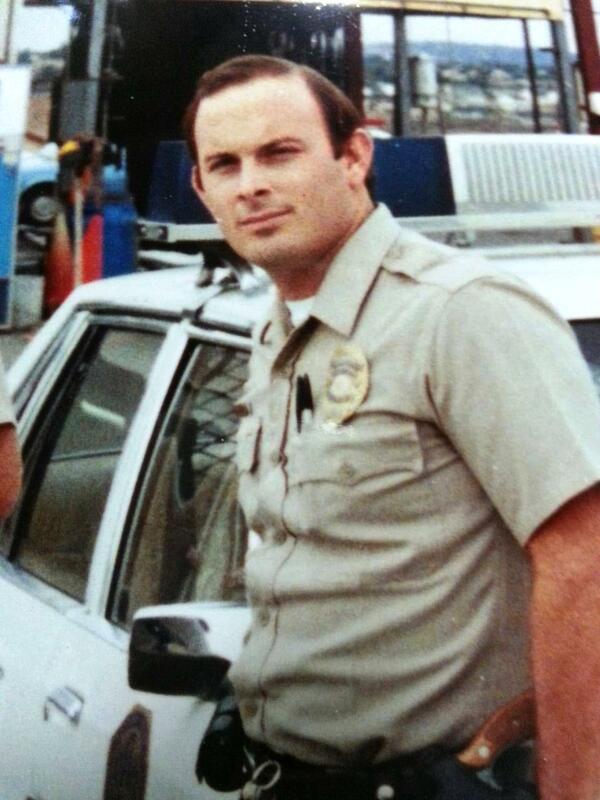 Tom Riggs had been a San Diego police officer for four years when he was promoted to the rank of Agent. Reassigned to the Southeastern Division in 1984, his up and coming career was about to come to a very violent end. Riggs was the son of retired Sergeant Charles Riggs and the brother in law of slain Officer Timothy Ruopp. That alone made the case tragic. What happened in the courts afterwards would ruin many lives. The swing shift of March 31, 1985, started out fairly uneventful with the 27-year-old Riggs being assigned a civilian ride along, Sara Pena-Ruiz. Pena-Ruiz was participating in a program that allowed citizens to ride in the front seat of the patrol car as a witness to what police officers encounter in their daily shifts. The program was very popular and, up until then, no ride along had ever been seriously injured.